Describing Sound in Architecture and Physics, Circa 1920. How has the modeling of space in modern science been reflected in the theoretical discourse of architecture? Comparing texts by the architects Adolf Loos, Herman Sörgel, and Siegfried Ebeling, Sabine von Fischer investigates the influence of architectural acoustics on architectural theory around 1920. Aesthetic concepts such as harmony and proportion were no longer sufficient to relate sound and space. Rather, models of natural science now explained the ways in which sound waves moved within built spaces. The transfer of the new scientific knowledge of acoustics from physics to architectural discourse did not remain without contradictions. 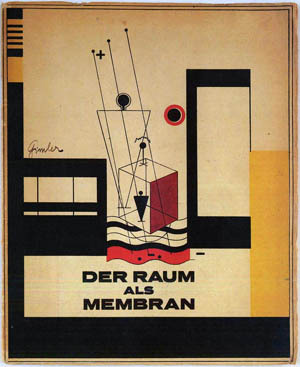 Loos’s “The Mystery of Acoustics” of 1912, Sörgel’s issue of Baukunst on music and architecture of 1925, and Ebeling’s Space as Membrane of 1926 show that, at times, inherited models of explanation for musical effects and modern knowledge of architectural acoustics entered into a peculiar coexistence.